Finding a financial advisor in Toronto, Canada, is easy, but finding the right Toronto wealth advisor for you and your family is a much harder task. 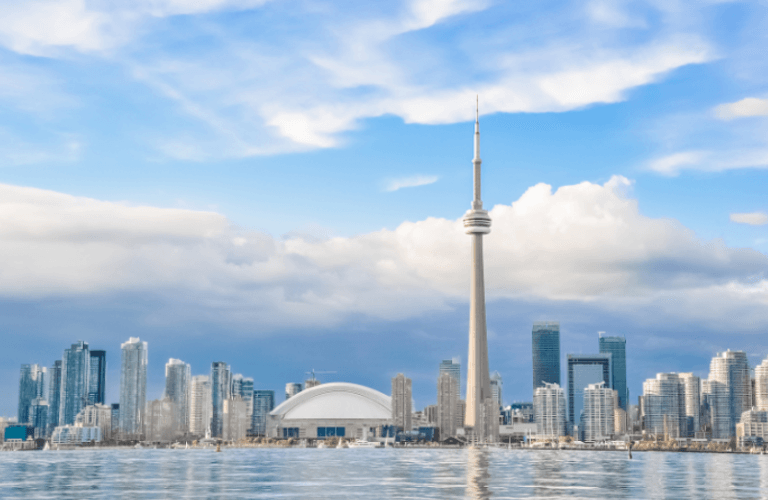 The sheer quantity of financial advisors and wealth management firms in Toronto increases the challenges that Canadian consumers face when selecting one. 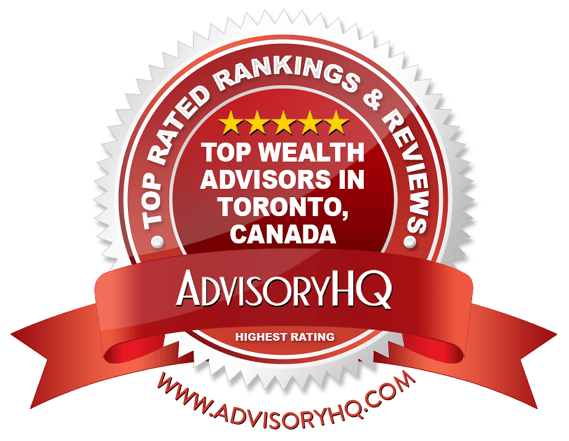 Who are the top financial advisors in Toronto, Canada? Where should I go if I am looking for additional services, like investment management, estate planning, and tax reduction? What types of fees do financial advisors in Toronto, CA, charge? Which financial advisor is best for me? While the final decision rests in your hands, we have assembled a list of the top financial advisors in Toronto, Canada to give you a leg up on your way to financial success. When it comes to choosing the best Toronto financial advisor, there are plenty of firms to choose from. With so many options to consider, how can you narrow the search? First, take a close look at what each financial advisor in Toronto has to offer, and match those services up with your own personal financial goals. As you will see in the following reviews for Toronto wealth management firms, each Toronto financial advisor specializes in varying areas of financial planning and wealth management. 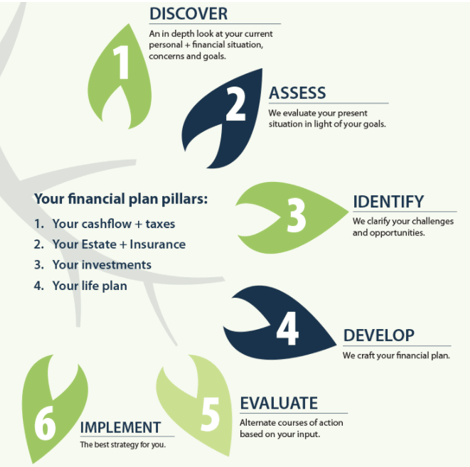 If your needs are of a broader nature and you wish to have peace of mind through simple yet comprehensive financial planning, you may be well-suited with a Toronto financial planner that offers a broader range of services. Once you’ve narrowed down your choices to a select few of these top-ranking Toronto wealth management firms, see if any of your selected advisors offers an introductory consultation session. Whether it’s a free or paid consultation, this can be a good way to “feel out” a prospective financial advisor in Toronto before committing to their services. Below, please find the detailed review of each firm on our list of top advisors and financial planners in Toronto. We have highlighted some of the factors that allowed these Toronto financial advisory firms to score so high in our selection ranking. De Thomas Wealth Management Corp.
Caring for Clients is a wealth management firm in Toronto that prides itself on taking an integrative approach to financial planning, helping clients structure their finances from top to bottom. As a “fee for service” Toronto financial advisor, all financial planning services at Caring for Clients are unbundled and paid for individually, meaning that clients can pick and choose exactly what services they want to pay for. Rona Birenbaum founded Caring for Clients in 2000 with the intent to provide a full spectrum of wealth management services. Today, the firm employs a strong Toronto financial advisory team, which is composed primarily of women advisors and support staff. In an industry where women are historically under-represented, a strong team of women advisors sets Caring for Clients apart as a Toronto financial advisor that is committed to diversity and multiple perspectives, two characteristics that clients can deeply benefit from. As a top Toronto financial advisor, Caring for Clients offers a unique and transparent “fee for service” compensation structure, as potential clients can easily access a detailed cost estimate for various financial planning services. With a strong commitment to driving client satisfaction through long-term financial planning relationships and high levels of transparency, Caring for Clients is one of the best financial advisors in Toronto to consider partnering with this year. Founded in 1997, Cumberland Private Wealth is an independent wealth management firm serving families, individuals, and foundations. We could not confirm whether Cumberland Private Wealth uses a fee-based or fee-only structure. As always, we recommend verifying compensation before partnering with any Toronto wealth management firm. For many clients, finding the best Toronto financial advisor means finding a group of accredited, experienced professionals that can tackle a variety of financial challenges. Many of these designations come with strict requirements for fiduciary duties and ongoing education, ensuring that clients receive advice that is both up-to-date and in their best interests. As an employee-owned, independent Toronto wealth management firm, Cumberland Private Wealth provides clients with the knowledge that the success of the firm is directly aligned with that of their clients. With regular investment insights and reviews, a highly certified team, and an investment process based on research and value, Cumberland Private Wealth is one of the best investment firms in Toronto to consider partnering with this year. Founded in 1987, De Thomas Wealth Management Corp. is an independent firm providing expert investment and wealth management services from eight locations across Canada. We could not confirm whether De Thomas is a fee-only or fee-based Toronto wealth management firm. As always, we recommend confirming fee structure before partnering with any financial advisor in Toronto. First, your Toronto financial advisor will focus on diversification, creating a portfolio that includes a broad range of bond and security investments, ensuring that you won’t become a victim of a volatile market. Next, your Toronto financial advisor will focus on expert asset allocation. Each investment made on your behalf is well-thought-out, includes a long-term target, and is recalibrated as needed. Last, your Toronto financial advisor at De Thomas will work to minimize your fees. The firm uses cost-efficient products that help save you money and minimize spending extra money on taxes as well. Investment and wealth planning services are tailored to high-net-worth clients and are not limited to investment advice. Services are holistic and handled by a team of experienced advisors who get to know you personally and understand the factors at play for wealthy investors. De Thomas is an independent advisory firm without ties to larger banks or financial institutions, a commitment which has remained since their founding in 1987. With a focus on personalized, objective advice and a wide range of financial services, De Thomas Wealth Management Corp. is one of the best investment firms in Toronto to consider partnering with this year. As one of the top investment firms in Toronto, Frontwater Capital is an independent, fee-only boutique firm serving successful entrepreneurs, professionals, and corporate executives. 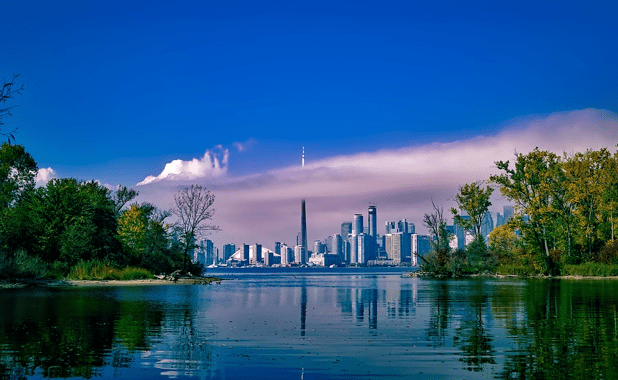 While once limited to high-net-worth families on a client-referral basis only, Frontwater has recently opened their investment management services to new clients across the Toronto area. Frontwater’s expert knowledge of stock-option investing and risk management makes this firm stand out from the rest. It believes that traditional, “long-only” asset allocation investments used by most financial firms do not sufficiently protect investors from risk. This strategy allows Frontwater to use investment techniques, which are normally only accessible to large companies, and apply them to the portfolios of individual investors. As an independent firm, Frontwater Capital is not tied to a large financial institution, meaning that their Toronto financial advisors are free to recommend the investments that will truly fit the needs of their clients. While the firm excels in focusing on providing exclusive, personalized service, our review was unable to find any information regarding the qualifications, certifications, or professional history of the Toronto financial advisors on the Frontwater Capital team. By expanding on the full capabilities of the financial advisory team, Frontwater Capital could easily improve both their value proposition to new clients and their rating as a top financial advisor in Toronto. HighView Financial Group is a Toronto wealth management firm founded by Gary Brent and Mark Barnicutt in 2005. As always, we recommend verifying compensation structure before partnering with any Toronto financial advisor. Investment Stewardship: As one of the top investment firms in Toronto, HighView works with no conflicts of interest and considers only your needs. Goals Assessment: HighView strives to fully understand your investment goals, expected deadlines, and level of risk tolerance to create a truly customized portfolio. Asset Management: Based on your goals assessment, a team of Toronto financial advisors will keep a close eye on your portfolio and make any necessary changes. Operating with these values means that HighView will always put you first and will never leave you out of the decision-making process. As one of the top investment firms in Toronto, HighView also offers vital education about the financial system and investment process, making the investment experience much smoother for you and your family. For investors, families, and foundations, HighView offers a dynamic, comprehensive portfolio management process, making them a competitive option among Toronto wealth management firms. With a boutique approach, a highly certified team, and a fiduciary commitment, HighView is one of the best wealth management firms in Toronto to consider partnering with this year. Founded in 2001, Newport Private Wealth is a Toronto wealth management firm that prides itself on superior customer service and a holistic approach to managing investments and overall wealth. As a fee-only firm, it only serves your interests and does not receive any commissions from third parties for its investment management services. For many clients, finding the best Toronto financial advisor means finding a staff of accredited, experienced professionals that can tackle a variety of financial challenges. As a top financial advisor in Toronto, Newport Private Wealth provides clients with an array of distinct advantages, like a commitment to independence, upholding fiduciary duties, and taking a holistic approach to wealth management. With an inclusive fee structure that simultaneously covers investment management and financial, tax, estate, and succession planning, Newport Private Wealth is a great Toronto financial advisor to consider partnering with this year. Founded in 1993, Olympian Financial is an independent financial advisor in Toronto that offers wealth management with a strategic and methodical investment style. Olympian Financial does not specify whether they are a fee-only or fee-based firm. As always, we recommend verifying compensation structure before partnering with any Toronto financial advisor. The tactical approach means that Olympian’s investment strategies are more efficient and flexible than the traditional strategies employed by other firms. This gives their clients an advantage in the financial marketplace. Personalized wealth management means that your portfolio will never be pre-packaged. Your individual needs will be met with a personalized plan put together by skilled and experienced advisors. As a top independent financial advisor in Toronto, the Olympian team works with each client individually to determine the optimal approach for their current needs and situation as well as their future goals. With a commitment to maintaining independence and supporting clients through a strong foundation of ethics, Olympian Financial is a great choice for both new and seasoned investors to consider partnering with. However, our review found that Olympian Financial does have some room for improvement when it comes to how the firm communicates their value. For example, finding detailed information on specific services through Olympian Financial’s website is challenging, as the firm provides a scarce amount of detail, especially when compared to competing investment firms in Toronto. By elaborating on the firm’s full range of financial capabilities, Olympian Financial could easily improve both their value proposition to new clients and their rating as a top financial advisor in Toronto. Founded in 1996, PWL Wealth Management has grown to four locations across Canada. PWL never receives commissions or kickbacks from outside parties; the firm only receives fees from their clients. This policy gives you comfort in knowing that your needs will be second to none. PWL has a step-by-step process for learning about you and understanding your investment needs and goals. Discovery Meeting—PWL will review the current state of your financials, identify your goals, and brainstorm with you about how to achieve your goals. Proposal Meeting—At your next meeting, a Toronto financial advisor will have evaluated your situation and will present a draft plan for moving forward. Commitment Meeting—If you decide that PWL’s proposal is the right plan for you, you will also sign appropriate documents to begin your relationship with PWL. Progress Meetings—PWL keeps you updated with the status of your accounts, while acting as an open forum to ask any lingering questions. Review Meetings—These meetings keep both you and your Toronto financial advisor up-to-date. You’ll have the opportunity to share any changes to your finances and be de-briefed on investment progress. As a top financial advisor in Toronto, PWL Wealth Management provides clients with a strong, integrated approach to wealth management, allowing for multiple financial challenges to be addressed at once. With a focus on personalization, an academic approach, and a fiduciary commitment, PWL is one of the best independent financial advisors in Toronto to consider partnering with this year. Founded in 1986, Stewart & Kett is a Toronto financial advisory firm that provides “advice-only financial planning.” General services available from his financial advisor in Toronto include financial planning, tax services and investment consulting. As an advice-only firm, the Toronto financial planners at Stewart & Kett work on either a retainer or an hourly basis. They are completely objective, and advice is never tied to a certain financial product, compensation or referrals. There is no conflict of interest when outlining the best financial solutions for individual clients. Also critical to the approach of this Toronto wealth manager is their ability to ensure clients feel comfortable disclosing everything about their situation, so they can get the best and most relevant possible advice. For many clients, part of finding the best Toronto financial advisor is finding a firm that can accommodate a diverse range of financial needs. Compared to competing Toronto financial advisors, Stewart & Kett provides clients with an impressive range of detailed financial capabilities, making it easy for potential clients to fully evaluate the firm before even meeting with an advisor. With a transparent pricing structure, a highly accredited team, and over two decades of experience, Stewart & Kett is one of the best financial advisors in Toronto to consider partnering with this year. Tacita Capital is an independent firm specializing in “ultra-affluent” family investors, providing specialized skills to help families navigate through complicated investment, savings, and tax issues. As always, we recommend verifying fees before partnering with any Toronto financial planner. As one of the top wealth management firms in Toronto, Tacita Capital maintains a strong team of highly certified financial advisors, planners, and investment management professionals. Many of these certifications come with strict requirements for fiduciary duties and on-going education, meaning that clients receive advice that is both up-to-date and truly catered to their needs. Tacita believes that traditional investment models are insufficient because they induce unnecessary advisor fees, lack a tax-return focus, and assume a high level of risk due to a lack of diversification. 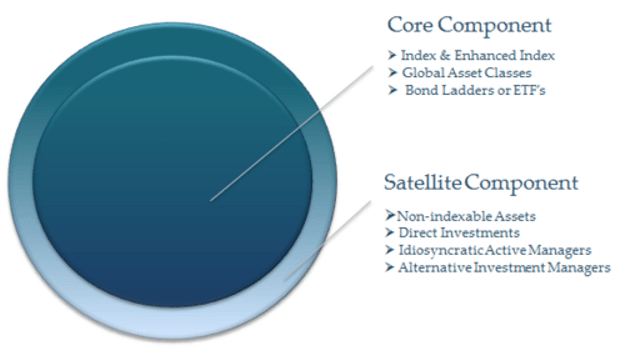 As such, this top Toronto financial advisory firm employs a “Core and Satellite” investment structure used by premier investors and affluent families. The Core prioritizes long-term returns and comprises enhanced index and exchange-traded funds (ETFs) focusing on liquid portions of equity markets. Also included are value and high-quality stocks which have proven to result in higher returns for investors. Affluent families often have complex financial challenges, which makes a Toronto wealth management firm like Tacita Capital an incredibly valuable resource. With a boutique focus on providing comprehensive financial planning and investment management for affluent families, Tacita Capital is one of the best financial advisors in Toronto to consider partnering with this year. TriDelta Financial is a Toronto- and Oakville-based advisory firm with a solid team of advisors, partners, and specialized consultants offering a range of comprehensive services. As always, we recommend verifying compensation structure before partnering with any financial advisor in Toronto. As one of the best financial advisors in Toronto, TriDelta offers a full range of investment planning, wealth management, and insurance-based services. At TriDelta, you can manage most of your financial needs. Aside from wealth planning and investment management, these Toronto financial planners also offer insurance services and a range of financial consultants. For example, the firm works with contracted mortgage brokers in the event that a TriDelta client has a mortgage-related question. Offering access to these consultants means that all of your financial needs can be handled at one office, making life more organized and less complex. For clients looking for a one-stop shop for their financial services, TriDelta is a great fit. With a wide range of financial capabilities, a talented advisory team, and the ability to connect clients to a range of other financial professionals, TriDelta Financial is one of the best financial advisors in Toronto to consider partnering with this year. Depending on their unique financial needs, everyone has varying factors to consider when choosing a financial advisor; however, everyone needs an advisor that can be trusted to perform sincere and fair service. With an overwhelming number of options, we hope that our list of the top financial advisors in Toronto has helped you identify at least one firm that will work best for you and for your family. Most Toronto financial advisors welcome potential clients for a prospective interview, so call them and do further research before deciding to partner with one. No matter what firm you choose, you should feel completely confident that your financial planning and investments are in the right hands.